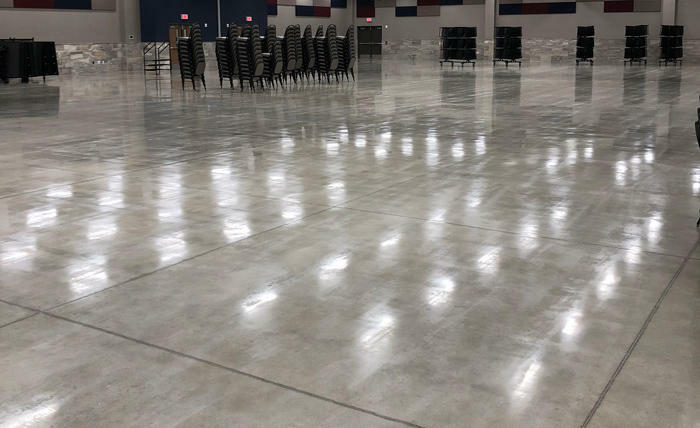 While concrete flooring may evoke images of trendy lofts and coffee shops, it is becoming more popular these days and can be seen in a variety of places. With a wide range of stains, glosses, and finishes, concrete flooring can provide many different stylish looks. Intex Flooring can help you design the floor that's perfect for your space. In addition to concrete polishing and staining, Intex also offers epoxy coatings. Epoxy flooring is a great option in a variety of conditions including damaged concrete. The inherent qualities make epoxy flooring resistant to staining, chemicals, moisture, traffic patterns, and abrasions. It’s versatility allows endless color options and even options for coefficients of friction to customize slip resistance. Want to learn more about concrete commercial flooring? Intex Flooring provides guidance for your new commercial flooring project, from initial exploration and selection to planning and installation.